Paradise City. Tape reliability rocks! As a teenager in Liverpool in the 1980s, one of my favorite radio shows was Radio City’s Great Easton Express, named after its host, the late Phil Easton. 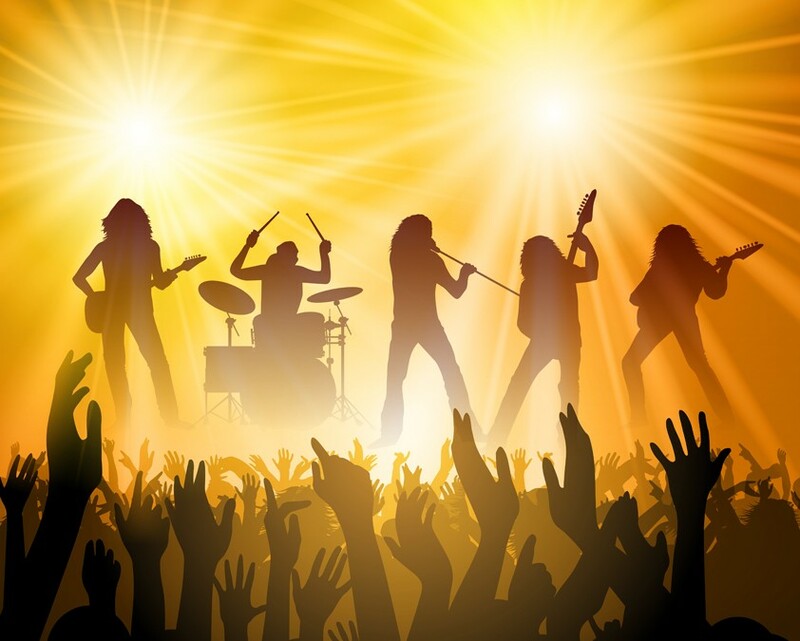 Much to the consternation of my parents (and probably the neighbors), the Great Easton Express was unashamedly for those about to rock, and each week I would record the show onto a tape cassette so I could listen to it until the next edition. And yes, I did turn the volume up to eleven (with a pre-ponderence of bass) at every opportunity. I begin with this anecdote because I recently came across some of those ancient C90 cassettes in a shoebox. It was a classic wet Sunday afternoon project to hook up an old tape deck to my sound system, not least because the on/off switch broke loose and disappeared into the innards of the player. But when I finally loaded one of those tapes and pressed play, I was magically transported back to my bedroom of yesteryear, listening to Phil Easton introducing the debut single of some new American band called Bon Jovi (whoever they were). The past is a foreign country – they do things differently there. Hair, for a start. But storage data cartridges, that have been specifically designed for archival use, offer phenomenal assurance for data protection and long term retention. HPE has tested various LTO Ultrium cartridges under these accelerated ageing conditions for eight weeks, (using the formula above, about 32 years), and been able to successfully recover 100% of the data. And we also have a collection of LTO-1 tapes written in 2003 from which data can still be retrieved in its entirety. In terms of error rate and magnetic stability, these 12 year old tapes are practically indistinguishable from brand new ones taken from their shrink wrap today. If only the same were true of tape product managers! In 2015, tape is still regarded as the premier archival storage medium, but for some reason, doubts still persist about its longevity and reliability. Part of that, I am certain, is because any IT manager over a certain age has a subconscious memory of mixtapes inexplicably chewed up by their best friend’s car stereo system. And part of it is because for many years, most leading server backup software products would attribute all kinds of non-specific errors to ‘bad media’ irrespective of whether or not the tape itself was actually at fault. According to my colleagues in HPE StoreEver support, the vast majority of issues that they support have almost nothing to do with ‘bad media’ at all. The evidence doesn’t support such a negative view. Back in 2010, in one of the largest tape migrations ever undertaken, the US National Energy Research Scientific Computing Center (NERSC), migrated 40,489 tape cartridges to a newer platform, which involved reading 13,711 miles (22,065,716 meters) of tape, ranging in age from two to more than ten years. The results, in terms of tape reliability, were astounding. 99.9991% of tapes were 100% readable – an error rate of just 0.00009 percent. In summary, of the more than 40,000 tapes that were read, only 35 contained some data that couldn’t be accessed. The unreadable data accounted for only 178 meters of the 22,065,716 total meters of tape! From a customer’s perspective, the most important consideration when using any storage medium is “Can I get my data back?” I sometimes remark to friends that I work in the ‘peace of mind’ business. Once information is stored on a HPE LTO Ultrium data cartridge, and especially if it is the only archival copy, then it can be worth its weight in gold in the event of it being needed in the future. The last deserves special mention. Hewlett Packard Enterprise puts extra emphasis on GTT scrutiny, which supports the ever increasing number of customers using brand new cartridges for each and every backup and restore operation – e.g. in archival activities. GTT has been a vital aspect of testing during HPE LTO-7 R&D so that even before launch over 1,000 LTO-7 cartridges have undergone GTT and over 460,000 miles of LTO-7 tape have been pulled. The results of this exhaustive analysis have been published in a White Paper, but needless to say, they’re outstanding. But as always, don’t take my word for it. A new independent report by ESG Research calls for a fresh appraisal of tape technology. 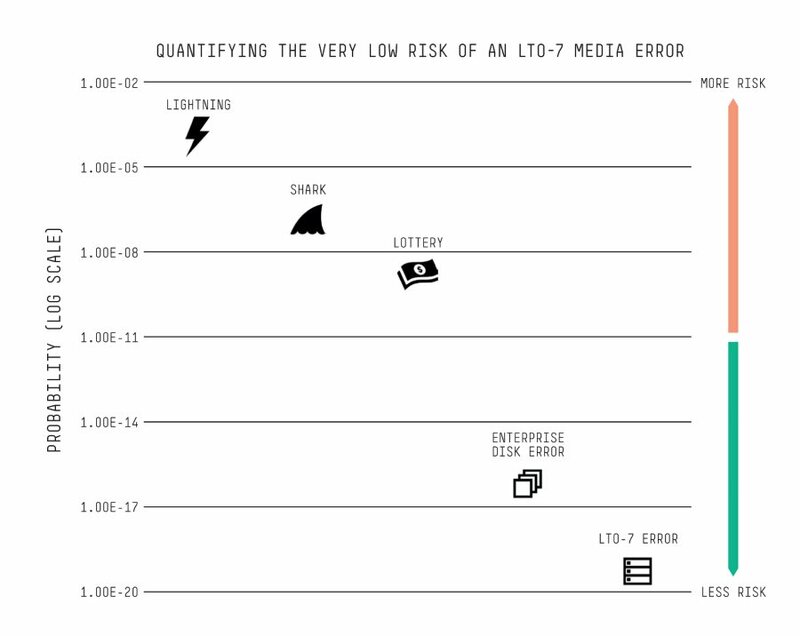 ESG found that the new Error Detection/Correction Code in LTO-7 Ultrium tape technology was so advanced that customers would be more likely to be struck by lightning or killed by a shark than hit an uncorrectable error when saving data to tape. Getting hit by lightning; the odds are one in a million. Getting killed by a shark; the odds are one in 11.5 million. Winning a multi-million dollar lottery; the odds are 1 in 259 million. A quintillion. I have to admit, at this point, I needed Wikipedia as it’s all gone a bit Hogwarts for my Muggle brain! To put this in context, it would take 130 tape drives writing data continually for one year to encounter an error that could not be fixed by LTO-7 ECC. When it comes to writing data, in demanding data centre environments, the bit-error-rate (BER) for LTO-7 drives and media is actually far superior to that of best-in-class enterprise disk drives. Contrary to any misconception that tape is unreliable, slow, and simply overlooked as a modern storage technology, ESG is pleased to report that LTO tape is thriving and has a bright future in organizations of all sizes, including some of the largest public cloud providers on the planet.….Nothing is more cost-effective, reliable, and energy-efficient for long-term data retention than a tape in a library slot or on a shelf, and it continues to play a key role for organizations across the globe. Isn’t it about time we embrace the renaissance of tape and leverage the innovations that make it ever more useful? For a technology that was supposedly dead and buried, tape is not just showing signs of life, but appears to be poised to make a strong comeback – if, indeed, it ever went away. So perhaps we should press pause before we play the Final Countdown!